Facebook is about to launch SocialEDU program in Rwanda. This initiative aims to provide localized education in a country that has limited access to knowledge sharing platforms like the Internet. SocialEDU will be a joint effort of Facebook and Internet.org. Mark Zuckerberg recently announced the launching of the program at Barcelona. As a part of this program, an education app will be developed and offered to university students in the country. Communications giant Airtel and mobile handset manufacturer Nokia will support the program by extending their support. While Airtel will provide free subscription to educational content for a year, Nokia will provide handsets at a discounted rate to the participants. Rwanda government will work to extend free wifi network coverage in universities. Harvard, MIT and Berkeley will help the initiative with student exchange programs and by sending teaching resources to the country. 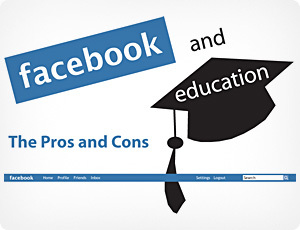 Facebook views this initiative as an affordable and social education experience for students. Chris Weasler, Facebook’s director of global connectivity, said that the project is currently in pilot phase. A positive response from students could mean that the program will be extended well beyond the boundaries of Rwanda. This announcement comes at a time when Zukerberg is busy answering questions about the whopping $19 billion acquisition of WhatsApp.